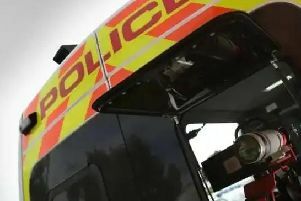 Nottinghamshire Police are having to deal with more racist hate crimes, following a rise in offences around the EU referendum, Home Office figures show. The latest Home Office data shows an increase in the number hate crimes reported to the police, where race is the motivating factor, during the year of the Brexit vote. In the 2016-17 financial year, 980 incidents were recorded by Nottinghamshire Police, where someone was abused or attacked due to their race. That is a 40 per cent increase on the previous year, when 699 cases were recorded. The figures surprisingly show a fall in Islamophobic and anti-Semitic hate crime, where religion was a motivating factor. Nottinghamshire Police recorded 68 cases in 2016-17, two fewer than the previous year. The total number of hate crime cases in Nottinghamshire increased by 353 in 2016-17, with racist offences making up the majority of those. Incidents where disability is the motivating factor have also risen, from 71 in 2015-16 to 84 in the latest figures.